The Poldark blog tour stops by again for my review of the second book in the series, 'Demelza: A Novel of Cornwall, 1788-1790'. Here's a link to my review of the first book, 'Ross Poldark: A Novel of Cornwall, 1783-1787'. There is also a US giveaway with some fantastic prizes. Read on for more information! Captain Ross Poldark rides again in the new Sourcebooks Landmark tie-in editions of Ross Poldark and Demelza, the first two novels in the acclaimed Poldark Saga by Winston Graham, adapted into the inaugural season of the new Masterpiece Classic PBS’s series Poldark, airing June 21 – August 2 on PBS. In celebration, July 6th through August 3rd, The Ross Poldark Blog Tour will visit thirty popular book blogs specializing in historical, romance and Austenesque fiction. Featuring spotlights, previews, excerpts and book reviews of these two acclaimed historical fiction novels, the tour will also offer readers a chance at a fabulous giveaway contest including copies of the books and a stunning Anglophile-themed prize package. Today I'm bringing you my review of Sophie Turner's 'Pride & Prejudice' sequel, 'A Constant Love'. Sophie visited with a guest post last week, which you can see here. On that post there's an ebook giveaway of 'A Constant Love' and I'm going to extend the giveaway for a couple of days, until Tuesday 28 July, in case my review whets your appetite to read it. Also, if you comment on my review, you can have a bonus entry to the giveaway. 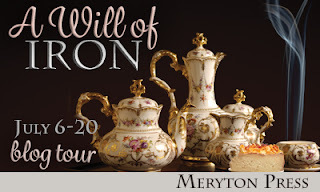 Last week Linda Beutler dropped by with a very informative guest post on the legalities of wills back in the 1800s as part of the blog tour for her new book 'A Will of Iron'. This book has particular focus on Anne de Bourgh, who manages to make some ripples from beyond the grave via her will and the observations of the people around her that she's recorded in her diary. Today I have the great pleasure of hosting a stop on the 'A Will of Iron' blog tour. Author Linda Beutler has written us a guest post on the legalities of wills. I suggested the topic because I know the novel centres around the repercussions of Anne de Bourgh's will and the legal side of it is a bit of a grey area in my understanding. I am guessing that may well be the case for other people too. I hope you find Linda's post as informative and entertaining to read as I did! There is also giveaway associated with this post, an ebook of 'A Will of Iron', courtesy of Meryton Press. Without further ado I'll pass over to Linda. You may have seen other blogs taking part in the Poldark blog tour recently. Well today, it's stopping here for my review of the first book in the series, 'Ross Poldark: A Novel of Cornwall, 1783-1787'. There is also a US giveaway with some fantastic prizes. Read on for more information! Today I am welcoming Sophie Turner to the blog. Sophie has written a continuation of 'Pride & Prejudice' called 'A Constant Love' which was recently published. 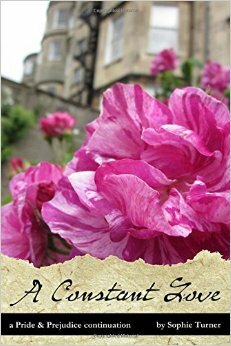 Follows the new marriage of Mr and Mrs Darcy and follows them in the months after they marry as they go to London, where Georgiana and Kitty meet some potential suitors. There are due to be follow up books to this one but I am assured that it doesn't end on a cliffhanger! Sophie has come here today to set some atmosphere and take us on a walk through Regency London. And if you read on, you will see there is a chance to win an ebook of 'A Constant Love' too! 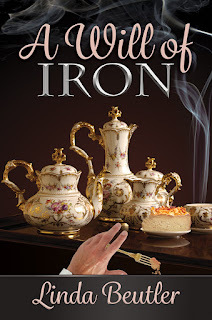 Today I am welcoming author Maria Grace to the blog for a guest post. Maria has been doing a blog tour to celebrate the release of her new book, Mistaking Her Character, which is available to buy now. One of the things you have probably seen mentioned in historical novels is laudanum. I know it was used for pain relief, but that's about the limit of my knowledge on this subject! Luckily, Maria knows more than me, and has written us a post about the drug, which I found very interesting and informative. Read on for more info, and a chance to win an e-book of Mistaking Her Character. Hello everybody! You may wonder whether I am still reading at all :( Well, I am, but I'm so busy! I went back to work last month and while it's wonderful that I am well enough to work, it really cuts into my reading time, particularly as I am working more hours per week than I did before my accident. The job I'm doing is only temporary too, so I'm job hunting, which is so, so tiresome! You spend so much time sifting through jobs trying to find something to apply for, and when you find something you like it takes hours to fill out all the details they want and fill in all the competency questions, grrr! I keep telling myself that this period won't last forever and I will have time again one day.